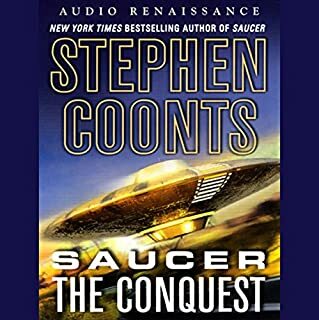 After discovering the secrets of a 140,000-year-old spacecraft in Saucer, Rip Cantrell and beautiful test pilot Charley Pine think their days of high-flying extraterrestrial adventure are over. But when Pine takes up flying spaceplanes to the moon for the French lunar base project, she discovers that the project director has installed a world-threatening antigravity beam. I bought this book on a whim. I usually take my time choosing my next download, but this time I thought, "What the heck? I haven't listened to a sci-fi book in a while." Well, if I had listened to the sample, I would have kept browsing. The narrator is talent-less. He has a good voice, but more often than not, he fails to add personality and emotion, or at least any that's interesting. In fact, he sounded as though he was reading stereo instructions. And the technology? Aaarrgh! The saucers are sophisticated pieces of technology, able to go amazingly fast, and be driven by mind control, but they can't alert you when enemy aircraft or weaponry is coming your way? And what's more, if they use up fuel (water) so fast just going from the earth to the moon, including air combat scenes, how could they possibly carry the original owners (the aliens) from the farther reaches of space to earth? Perhaps that's why they crashed here in the first place. And what one of the characters did at the end of the story to "hide" the saucer was just absurd. No explanation was offered at all. We're just supposed to take it as a common occurrence and say, "oh well, of course." There's more that boggles the mind, but I'm running out of space. The story is indeed imaginative in the way it uses technology. It was hard to get a clear picture of the type of environment the author was writing about, but all in all, it didn't keep me from listening. However, there were times that the technology didn't make sense. In a nutshell (and without giving too much away), I didn't see how one of the character's with a "robotics plate" in his head made him more capable of using it as a hitting device. I mean, it's still his head! Personally, I grow weary of the common use of betrayal in many stories. This one is no different. I don't mind the guessing game of "whodunnit" or "whosgonnadoit", but betrayal has become cliche for me. 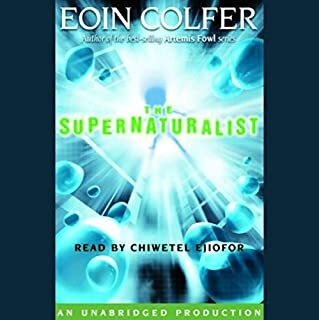 When a young boy finds a mysterious object in the creek near his home, his parents launch an investigation that will eventually link the ancient object to such remarkable figures as George Washington Carver, Oskar Shindler, Joan of Arc, and Alfred Vanderbilt. Separate pieces of the artifact, with different but similar inscriptions, shape the lives of those who possess the object. The times this story picked up for me was when the historical characters who were known to possess the four "rocks" (or "choices") were talked about. The author was ingenius in the way he crafted the story around these figures. In fact, his work intrigued me so much that I went to learn more about some of these people of history on the Web. The parts that didn't do well for me were the times spent on too much trivial filler between the interesting moments. The narrator's voice took some getting used to--kind of a country twang here and there. And his skill at different voices seemed a bit stretched, but for the most part it worked. Get this book if you're wanting a great story that explores the concepts of integrating robots into human society. If you're getting this book thinking that you'll get what you see on the silver screen, then pass it by because it has absolutely nothing to do with the movie...well, unless of course you count the robots. 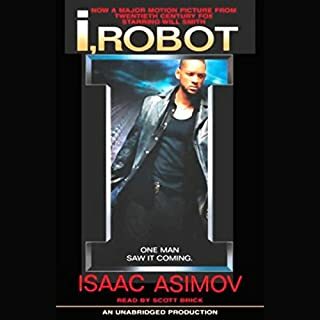 Otherwise, this book is written by Isaac Asimov and the movie is written by someone else. This book takes you through the the concepts of how we could trust robots and how, through their obedience of the three laws, we could rely on them too much. It offers quite a few twists and turns. I'm glad I finally got to read this book after so many years of just hearing about it. Albert-Laszlo Barabasi traces the fascinating history of connected systems. Understanding the structure and behavior of networks will forever alter our world, allowing us to design the "perfect" business or stop a disease outbreak before it goes global. 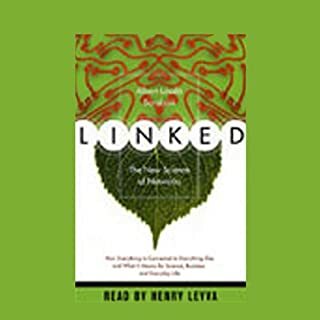 This book sounded very interesting, however, upon listening to it I gradually got lost. I believe that mathematicians and engineers will enjoy this for which I'd give it 5 stars, but for the casual observer with slight interest, I give it 3. I wish I had gotten the abridged version as this thing is drawing on and on. I've listened to all the previous installments and can honestly say that ever since Frank Mueller left (man, I miss him!) that's when the series "jumped the shark". I don't think Frank could have even brought it all back to life because the storylines have just degraded over the years. Why, after all the installments, did the narrator have to mispronounce "Petra" during this one? He must have said "pee-tra" no less than 100 times! Very annoying. It was also very "preachy". In fact, you'd think the book was to first explain Revelations, and then to have a story. All too often a character would ask a question and an expert would jump right in and reply in all the glorious detail. Too predictable, used too often. The first quarter of the book was spent describing the pain Rayford Steele was in. Okay, we get it! He was in pain! And yes, Jesus is all powerful so there's no need to explain that He's able to do magnificent things so frequently and to speak to everybody at the same time so often. I just got the feeling the authors said, "Hey, we've got all this time, so let's fill it with something." The man at Charles Blakey's door has a proposition almost too strange for words. He wants to spend the summer in Charles' basement, and Charles cannot even begin to guess why. The premise of the story intrigued me. Now that I've finished it I'm left wondering, "Now, why did I read this again?" I never did understand why the man in the basement felt the need to do what he did down there. Some of the characters really didn't move the story along. 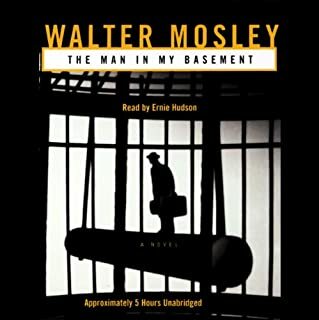 They simply served as a means of filling the gaps between when the main character and the man in the basement would meet, and that didn't happen until half way through the story! And yes, there was a lot of X-rated content which had no place in this story line...just something to throw in there. Michelle Maxwell has just blown her future with the Secret Service. Against her instincts, she let a presidential candidate out of her sight to comfort a grieving widow. Then, behind closed doors, the politician whose safety was her responsibility vanished into thin air. This book reminds me of the old "Batman" TV series of the 60s where the heroes were forever trying to come up with scenarios based on the tiniest details that eventually lead them to the villain. And when they met up with the villain, the heroes were captured and forced to endure a slow death by some silly contraption. That's what happened here. And let's not forget the force of nature that compelled the villain to divulge why he did it all and show off his cleverness. I'm really tired of stories where characters betray their friends and colleagues. You know the routine: something turned them to the dark side years ago, but they manage to mingle effortlessly with everyone until, suddenly, you turn around and find that you're staring down the barrel of their gun. Whatever happened to just plain old good vs. evil, where you knew who the bad guys and good guys were, they would fight and the good guys would win? Is that really too old fashioned? The villain was lame. 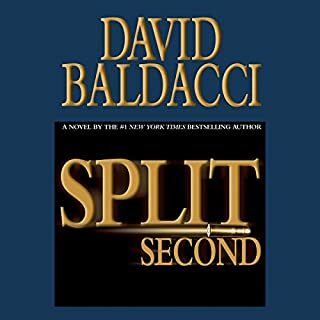 He spent so many years plotting the "perfect" crime and going to all the trouble of recreating a past event that, when implemented, would be short-lived. I mean, the lengths this guy would go to to have all his puzzle pieces line up in just the right order was mind-boggling, and for me, made it unrealistic. There's just too many factors he had to create and/or depend on to make it all work. Not even an evil genius could come up with the stuff this guy did. When a beautiful portrait is painted of him, young Dorian Gray makes a vain, rash wish to always remain as beautiful as the painting. His wish comes true, and Gray starts a descent deep into moral decay. As he indulges in excesses and corruption, his physical form remains unblemished - but the portrait becomes decrepit and ugly. 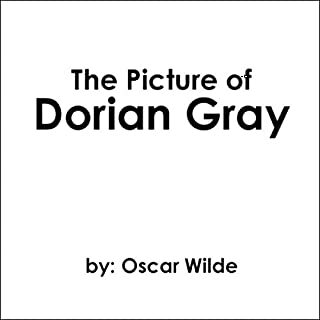 Gray's evil deeds eventually grow to include murder and lead him further and further toward Wilde's disconcerting conclusion that "ugliness is the only reality". I tried listening to it, but I just couldn't force myself after about an hour's worth. The dialogue of the time period in this story is amusing, and sometimes pleasant, but the story was just going nowhere! After watching "League of Extraordinary Gentlemen", which casts the character of Dorian Gray, I wanted to learn more about this character because I found the concept intriguing: a man is immortal while a portrait of himself ages. The narrator was a bit annoying and lifeless. Perhaps reading the book would have been better. Clare and Henry have known each other since Clare was six and Henry was thirty-six. They were married when Clare was twenty-three and Henry was thirty-one. 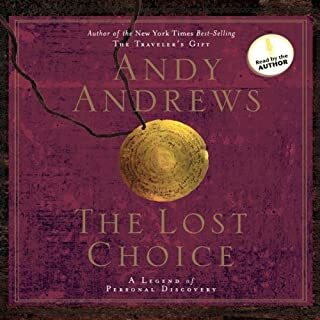 Impossible but true, because Henry is one of the first people diagnosed with Chrono-Displacement Disorder: periodically his genetic clock resets and he finds himself misplaced in time, pulled to moments of emotional gravity from his life, past and future. I've always enjoyed time travel books. I enjoyed this book, too, but this one is unique. It explores time travel in a different way. Henry is a guy who has no control over when or where he time-travels to. He's "chrono-impaired", as his type comes to be known--it's a genetic thing. He meets his wife-to-be when she was six and he in his 30s. He even meets up with his daughter in the future. But there's so much more! There were interesting plot twists that kept me thinking about how this could really work. And this wasn't just about science fiction. No, a lot of time was put into character development. 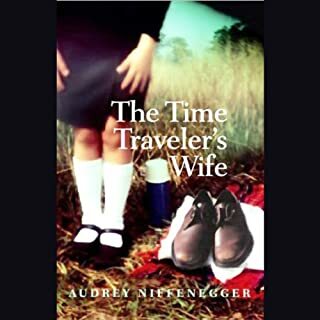 We experience the fun, the sadness, the weirdness, and the stress of time travel through the eyes of Henry and his wife. This book has two narrators: a male and female playing the stars of the story. I think this helped deliver the story in the way it was meant to. A little long, but definitely a good read.